Helping Hand concludes two weeks of featuring nonprofits in the Asia Pacific supporting two of the most vulnerable animals. In the Asia Pacific, there is positive news on a pair of fronts relating to a story we’ve followed on HPR's All Things Considered about one of the rarest and most vulnerable living creatures on Earth. 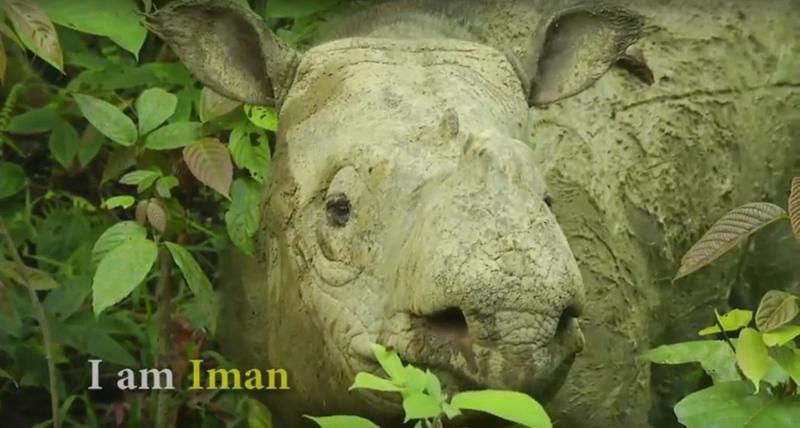 In Malaysian Borneo, Iman the Sumatran rhino continues to improve from a health crisis, while separately, an ongoing effort to save the species through artificial insemination appears to be gaining steam. 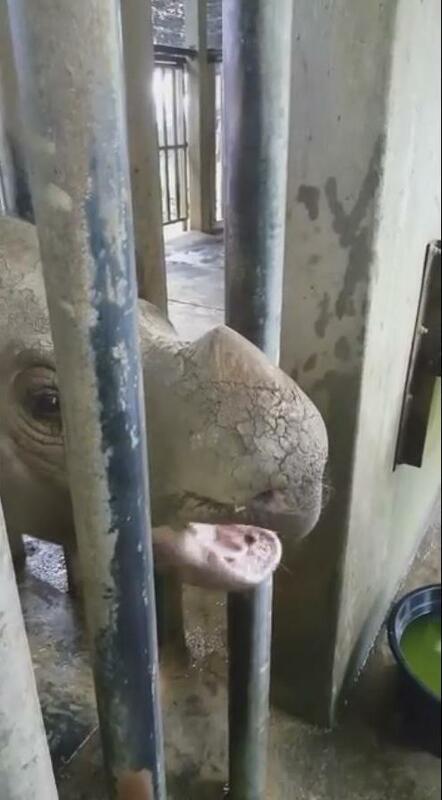 In the Asia Pacific, the news continues to be grim on the island of Borneo, where experts from one country’s wildlife department are desperately trying to save the life of an extraordinarily rare, critically endangered animal – one of only nine in captivity anywhere in the world; we’ve followed her story for weeks and have an update. 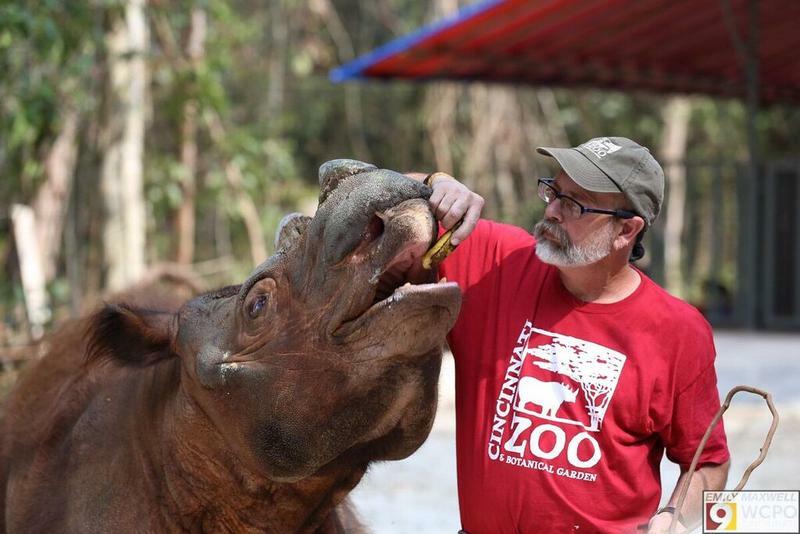 Today on All Things Considered we have an update to an Asia Pacific story we’ve followed for several weeks about one of the rarest animals on earth: the Sumatran rhino, a species that dates back millions of years, with just nine in captivity, and a few dozen hoped to exist in the wild. 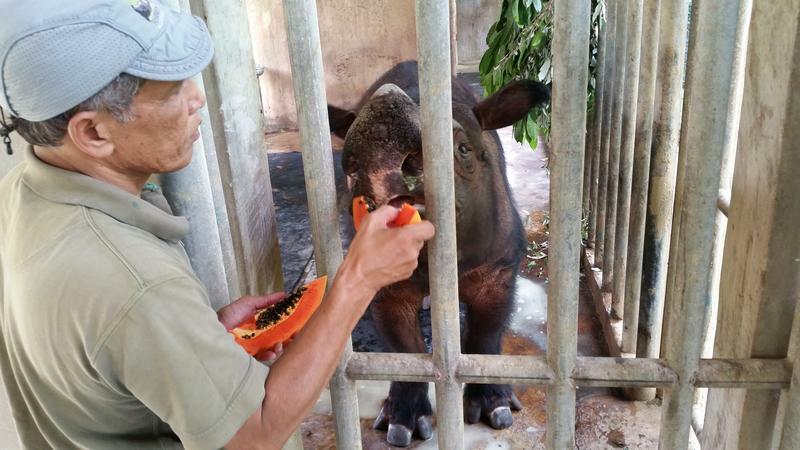 Since mid-December, one of only two Sumatran rhinos left in Malaysia has made news as she faces a health crisis, and while there had been some signs of hope in the run-up to Christmas, the news became eerily quiet, until today. 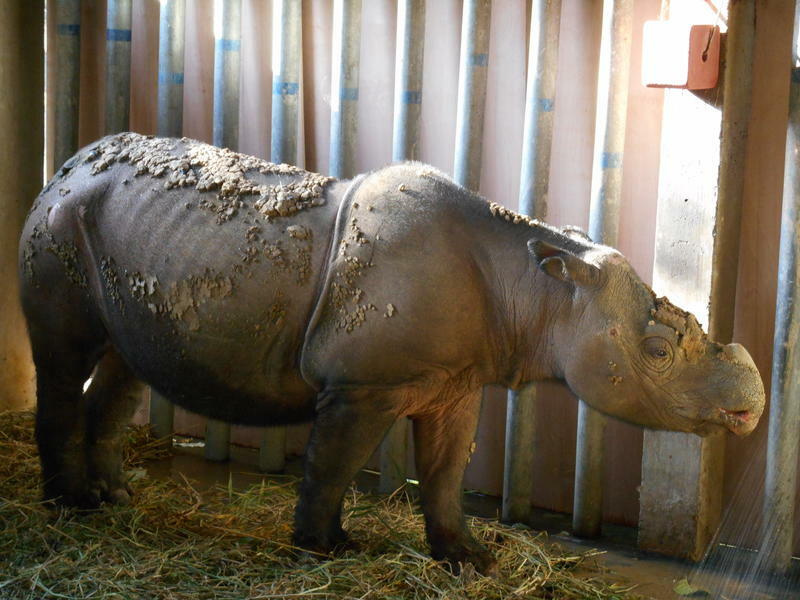 Today on the statewide afternoon drive version of All Things Considered on HPR1, during this holiday that includes among the heaviest traveling in the United States, we learn more about the remarkable journey of Harapan, the Sumatran Rhinoceros, and his 10,000 mile, 53-hour trip from the Cincinnati Zoo to the Sumatran Rhino Sanctuary. HPR All Things Considered Honolulu Host Dave Lawrence reports.